What types of Questions can I create? Students will see all answer options and need to select ONE correct answer from multiple choices. The student answer is automatically validated. You need to provide the correct solution when creating the Question. You can add as many answer options as you want. 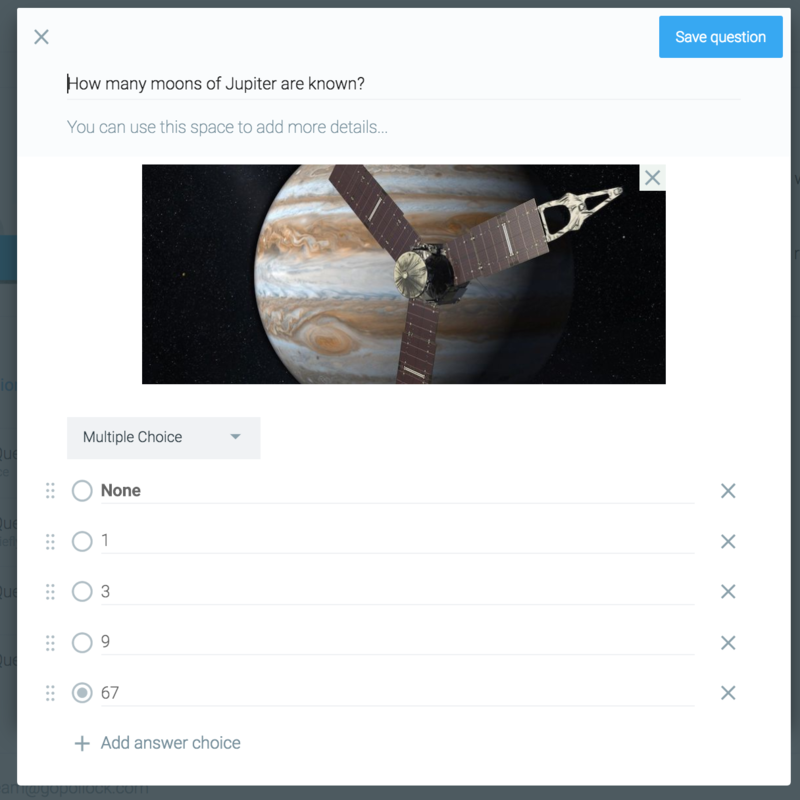 Pro Tip: Check out our blog post about 'How to create great multiple choice questions in 3 simple steps'! Students will see all answer options and need to select ALL (ONE or MORE) correct answer by checking the correct answer boxes. The student answer is automatically validated. You need to provide all correct solutions when creating the Question. You can add as many answer options as you want. Students will only have two options: TRUE or FALSE. They need to select one of both options. The student answer is automatically validated. You need to provide the correct solution when creating the Question. Students can enter a text in free form and unlimited length. 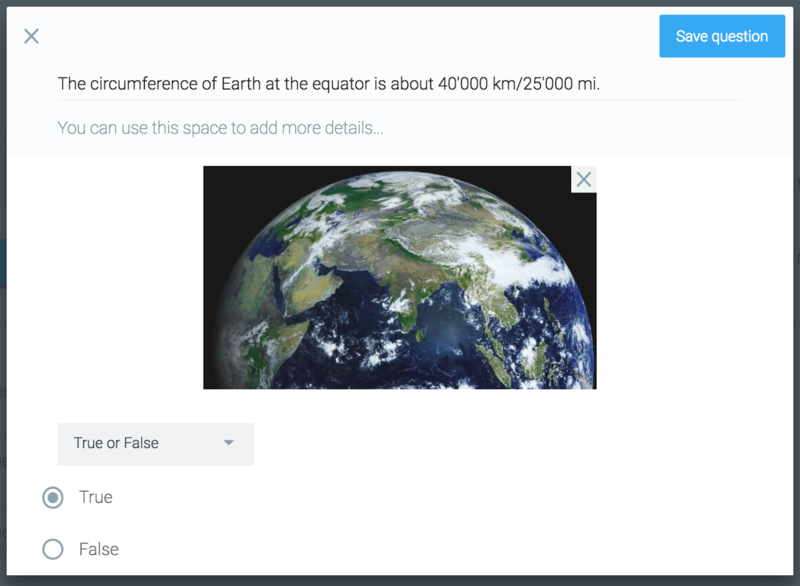 The student answer is manually validated by you in the Session dashboard. You can select a yellow answer cell (with a 'View-Eye') and validate the answer as correct or incorrect. 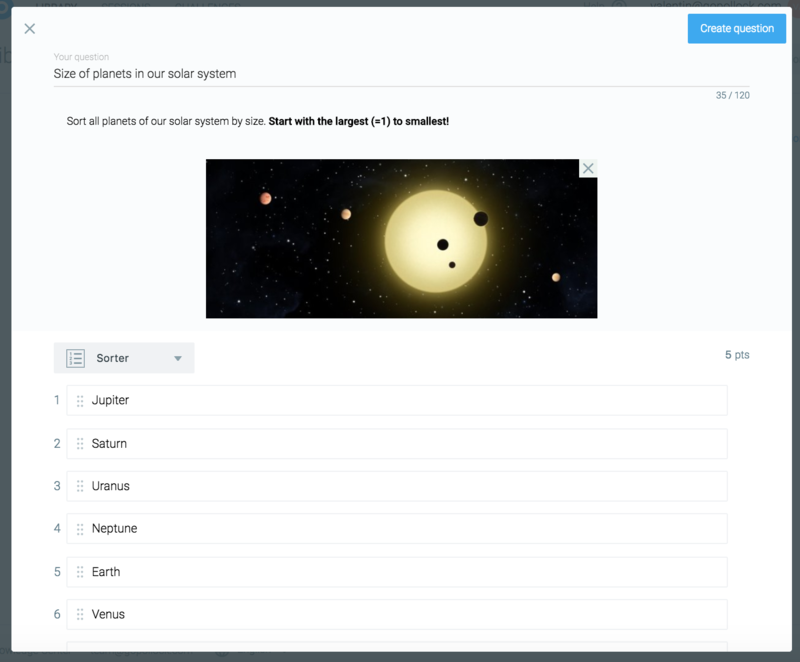 Important: Classtime will bundle all identical student answers, allowing you to immediately validate multiple answers of your students, thereby saving you a lot of time. 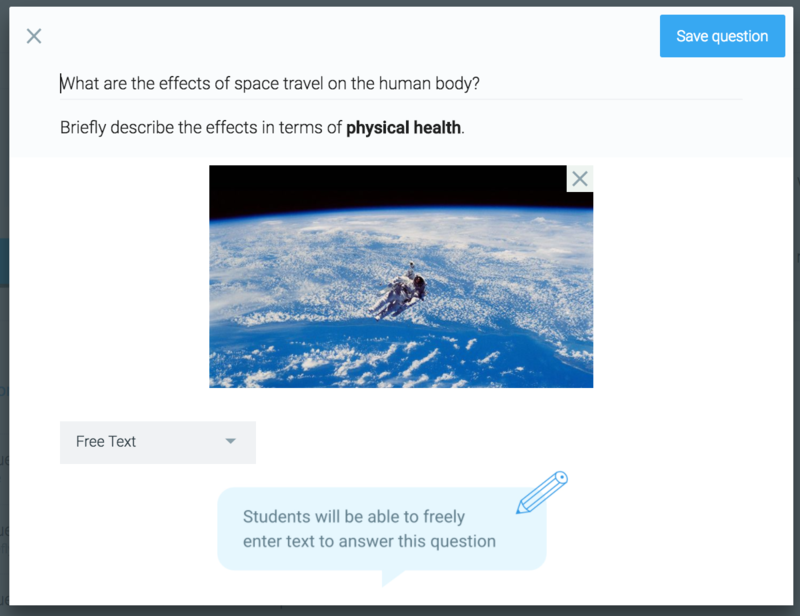 Also, once you've validated an answer, Classtime will remember and automatically validate any newly incoming answers in the future - even if you're reusing the Question in new Session! Students will see a categorization table and need to select the corresponding correct item (row) per category (column). Every item corresponds to exactly one category. Students will see a randomly sorted list of items. Each item can be drag and dropped vertically, enabling the student to sort them freely. The student answer is automatically validated. 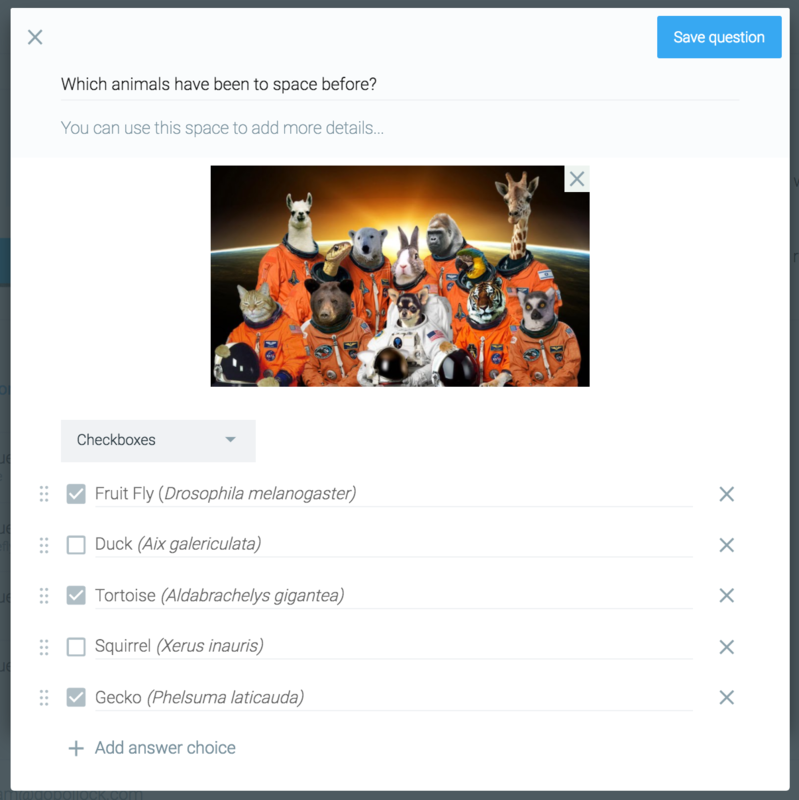 You need to provide the correct order of items when creating the Question. Classtime will randomly shuffle all sorting items for each student individually. Students select words, sentences, or paragraphs to provide an answer to your question. One or more elements can be marked as correct. The student answer is automatically validated. You need to provide the correct elements when creating the Question. Students select a spot on an image to specify the correct answer. The student answer is automatically validated. You need to provide the correct hot spot area when creating the Question. 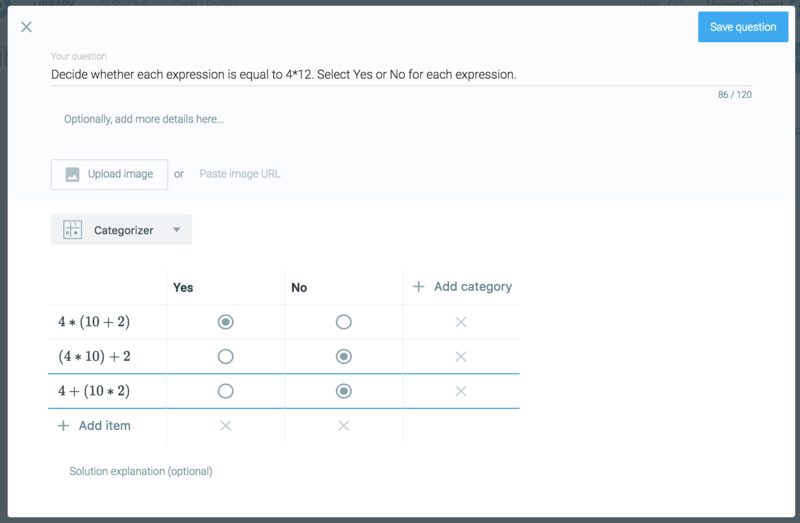 We are continuously working on new question types and validation methods. If you are looking for something specific, do let us know: team@classtime.com. We look forward to hearing your thoughts!